The last forty weeks have been the takeoff runway for what will be the biggest of my adventures. There's no mountain I have climbed, no river rafted, no cave crawled, no combat won or lost that could ever be computed to the feeling of holding your newborn for the first time. I tend not to dive into too much detail about my personal life here, but this is a milestone that's too significative to go unaccounted for. 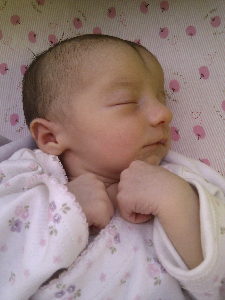 I am now the proud, and terrified father of a little girl named Ainara. Just in case you are considering the dissemination of your DNA yourself I might warn you that it's not for the faint of heart. The fact that everybody seems to do it may led you to the wrong conclusion that it is easy, but it's not. It will happen when you are not ready yet, or make you wait for years when you are finally ready. Now that I face this literally life changing challenge, all the others seem less frightening... or something.